These short but informative classes are designed to build on each other, but if you want to just attend one class you can. $120.00 for the series or $40.00 per class. The fee for a couple is $150. There is a $20 discount for early registration completed two weeks before the beginning of the course. The course starts at 5 pm and runs until 8 pm. Lunch is not included. Our Spring 2018 certification classes for entry level licensed massage therapists begins March 14, 2018. Space is limited! Call to make an appointment to see the school and get your application package and get your spot reserved. This six month course provides the entry level student with a solid base of knowledge and practical skills to begin a career as a professional massage therapist. The details of the course are covered here. See upcoming starting dates in our calendar. For more information, call, drop by our school or send us an email. We will be happy to discuss whether this is a fit for you and what your financial options are. Ask for Eric or Michelle. 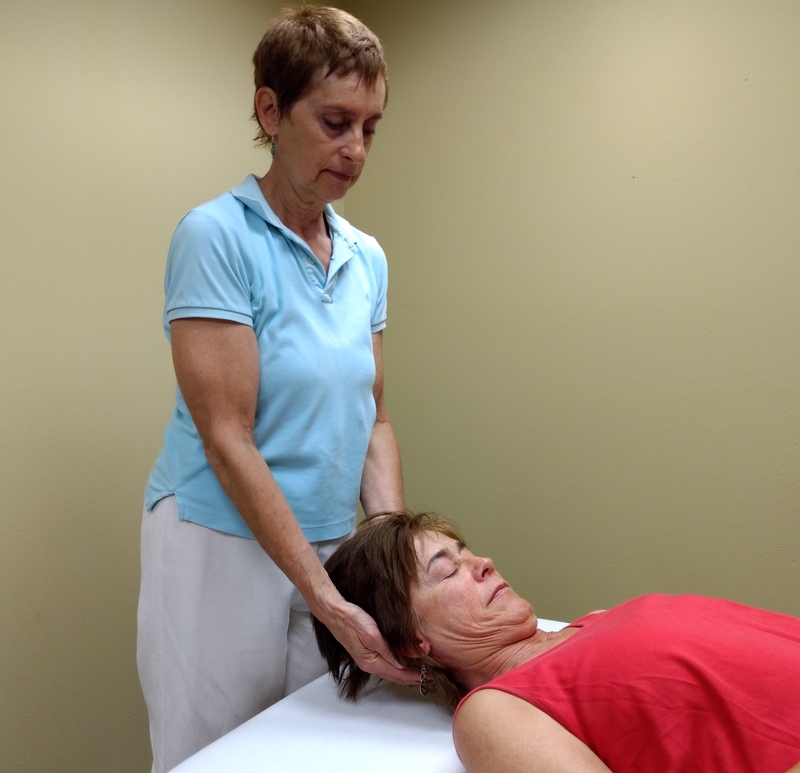 Susan from AIS Northwest demonstrates an assisted shoulder extension. Susan from NW AIS demonstrates an assisted cervical flexion stretch. Tuition: $350 before March9; $375 thereafter. ($50 non-refundable deposit). Susan is a licensed massage practitioner in Washington since 1996 and an ACE-certified personal trainer since 2007. Active Isolated Stretching (AIS) practitioner and teacher since 2004 and certified AIS Therapist with the AIS National Certifying Body (AISNCB). Susan is co-owner and a master instructor with AIS Northwest in Bellingham, WA. Patience, clarity, and thoughtfulness characterize her teaching style. (Lic. # MA00009726). AIS Northwest is approved by the National Certification Board for Therapeutic Massage & Bodywork (NCBTMB) as a continuing education Approved Provider (Provider ID: 451194-09). AIS Northwest. LLC is approved by the Board of Certification, Inc. to offer continuing education for Certified Athletic Trainers.